We sell used copiers and have over 3,000 used copiers in stock. With over 100,000 sq. ft. of warehouse space and over 3,000 used copiers in stock daily we have become one of the largest copy machine distributors. Our goal is to “Provide our customers with the best used copiers at fantastic prices”. Since 1995 Town Business Center Incorporated has been committed to providing high quality, used copiers throughout the United States, Canada and Internationally. We purchase and sell only the highest quality brand-name used copiers, copy machines and Wide-Format & Commercial Printers, such as Toshiba, Ricoh, Canon, Sharp, Konica Minolta, Kyocera, Panasonic, and much more. 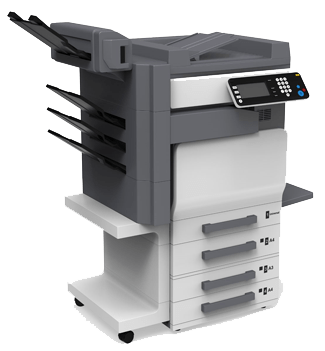 Our skilled sales team is dedicated to buying copiers that will provide our customers with a solution to their printing needs, quickly and affordable, and our on-site technicians evaluate and restore these large office machines before the product leaves the warehouse. Whether you’re interested in buying 5, 50 or 500 used copiers, the staff at Town Business Center tbccopiers.com looks forward to assisting you every step of the way. Want to sell your used copier to us, click here.